Fab-Seal Industrial Liners, Inc., has been an industry leader in designing, manufacturing, and installing flexible PVC liners in Oklahoma for a wide range of industrial uses and applications. 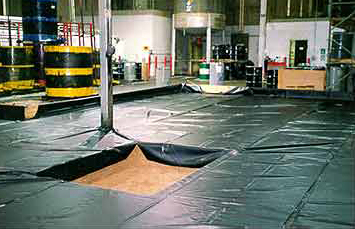 An impressive team of designers and technicians at Fab-Seal Industrial Liners, Inc., use the very latest technological advances and processes to act with a cost-effective approach to producing flexible PVC tank liners and membrane tank lining systems with extreme compatibility to most inorganic and corrosive fluids. Call toll free 800-874-0166 today and speak to a qualified associated at Fab-Seal Industrial Liners, Inc. about the wide range of options for professional PVC tank lining systems manufacturing and installation services. Or simply fill out the contact form on this page and we will respond to your inquiry shortly. 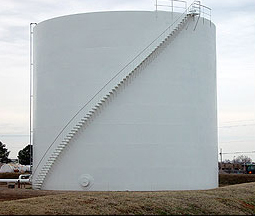 Poly Vinyl Chloride, or PVC, tank liners are the backbone of the industrial liners industry. The PVC tank liners available from the industry experts at Fab-Seal are resistant to acids, alkalis and a wide range of corrosive chemicals. The PVC tank liners available through the industry experts at Fab-Seal are constructed to be resistant to water, oil, alcohols and household detergents, allowing them to be used for a wide range of industrial uses and applications. Call 800-874-0166 today and speak to one of our knowledgeable associates to discover how the industry experts at Fab-Seal Industrial Liners, Inc. can handle your PVC tank liners manufacturing and installation needs, or fill out the contact information form located on this page and we will respond to your inquiry shortly. Have a question about P.V.C. Liners?